River Cane For Sale Online. Low Wholesale Prices. 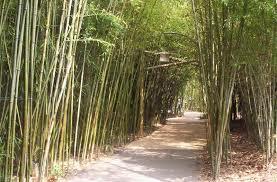 This particular species of bamboo is native to the United States and can be found in the wild in many of the southern and south-eastern states. As far as perennial grasses go, it can get quite large. The hollow and round stem has been seen larger than 7cm in diameter with the height of the plant reaching more than 10 meters in some areas. It really does not require much in the way of care after it has been planted, and that makes it decent cover for out of the way areas. It is one of the species capable of producing a canebreak under the right conditions. However, there are many reasons that canebreaks can dwindle out of existence. Some of this is due to cattle which like to graze on the growth, and so it should not be planted in the vicinity of livestock. 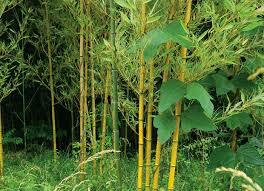 River Cane Bamboo can exhibit a nice sized inflorescence of either the raceme or panicle variety. Spikelets from 4 to 7 centimeters in length make up this inflorescence, and it is quite attractive as far as bamboo is concerned. Each cane, once planted, can be expected to live for about ten years with an almost entirely maintenance-free existence. It attracts the Southern Pearly Eye which is a butterfly which is a species indigenous to the Southeastern United States and all the way to Eastern Oklahoma and Eastern Texas. These brown butterflies with dark eyespots use the River Cane Bamboo as their primary food source. Many different types of warblers use this kind of cane for nesting sites, and so it is essential to keep it available because many some are even close to extinction without it. There is a myriad of uses for the cane. For example, Cherokee Indians have long used it as a source of material for their basketry. Much of this basket making has been in severe decline due to the shortage of cane of this variety. It is a hardy species which will complement a variety of other coverage plants without interfering much with the growth of these partner plants around them.